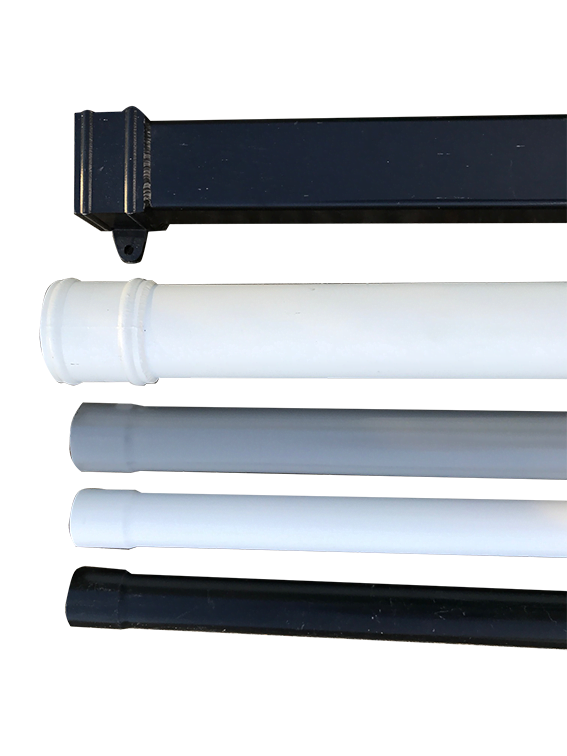 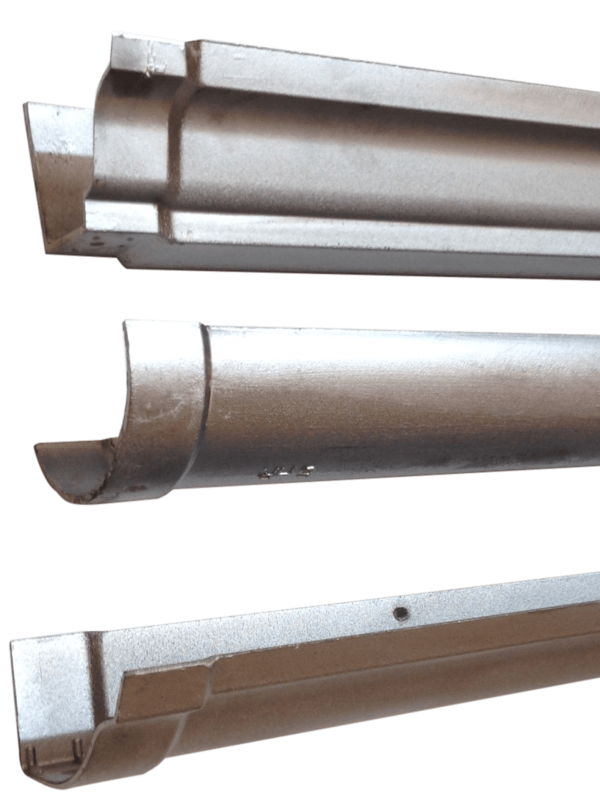 Aluminium gutter available in Extruded vintage og Beaded Half Round Snap Fit, Deep Flow Half Round, And Aluminium Seamless Gutters. 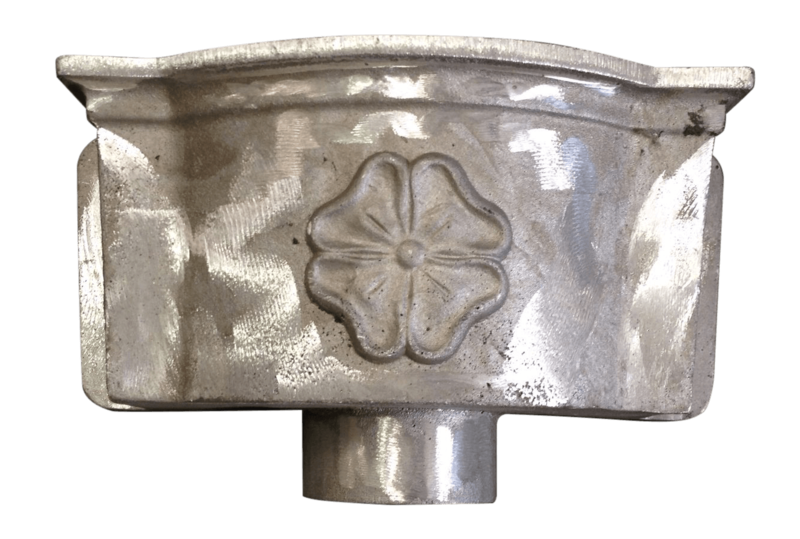 Aluminium downpipes are available in round,square/rectangular. 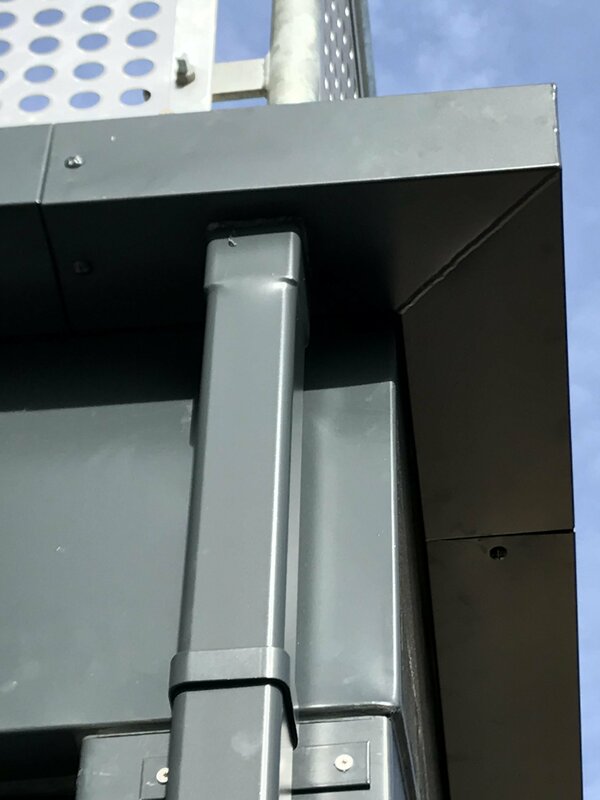 They come in old fashioned cast eared, swaged for a modern look, flush fit and anti vandal. 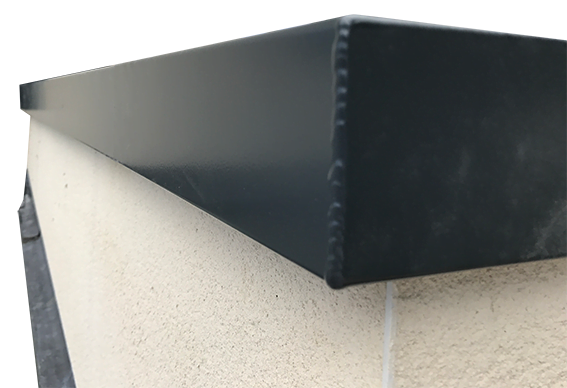 Aluminium seamless ogee gutter is available in 5 or 6"inch.Seamless gutter comes in black , white, anthracite grey, dusty grey, brown. 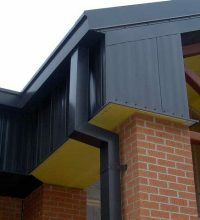 Aluminium seamless gutter can be run out up to 30 metres in one continuous length. 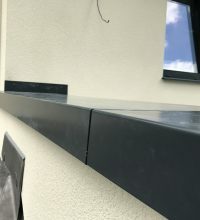 Guttersdirect has its own fitting service or we can supply only and do a cut and drop at your site. 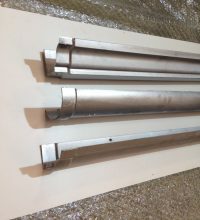 Commercial size guttering made from Pressed Aluminium. 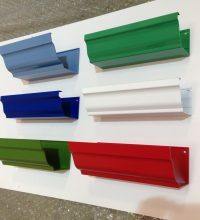 In various profiles - 200mm x 150mm Box Gutter, 200mm x 150mm Modern Ogee Gutter and 150mm x100mm Seamless Aluminium Gutter. 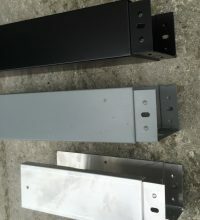 All of which can be powder-coated to a colour of your choice. 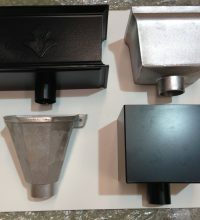 Guttersdirect manufacture an array of Aluminium Guttering, Extruded Guttering, Aluminium Box Guttering and Aluminium Downpipes, we do so by using a combination of extruded, pressed and die cast aluminium. 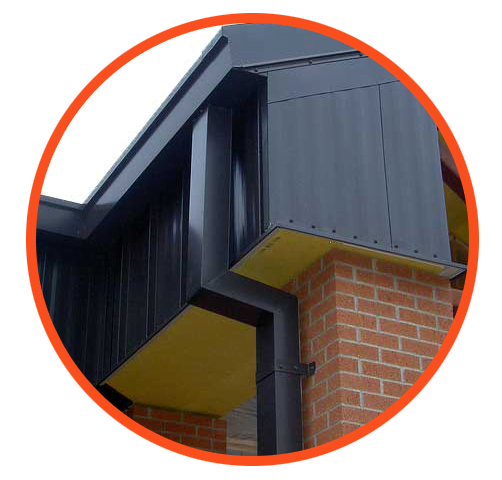 Guttersdirect has its own in-house technical and estimating department. 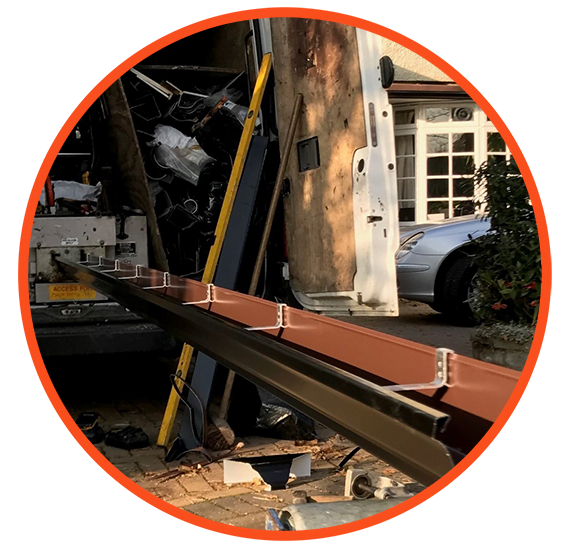 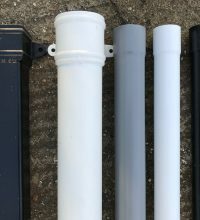 So whether you require aluminium guttering for a period house, a listed building, or, you’re building a modern contemporary property, we have a wide range of aluminium guttering, aluminium downpipes in stock or bespoke items made to order. 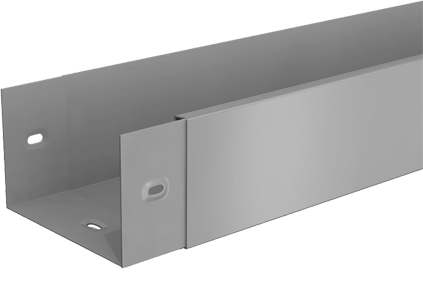 Below is our range of cast aluminium gutters, box guttering and aluminium downpipes which you can order and purchase online with very short lead times. 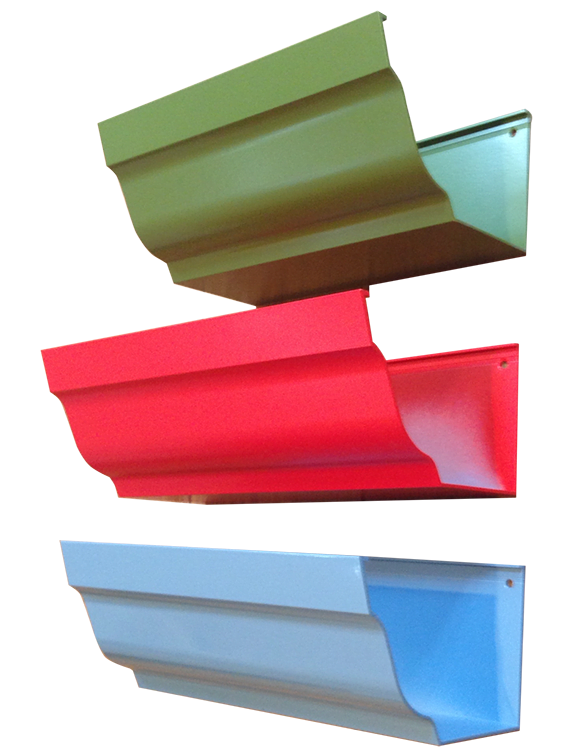 Available in any ral colour and finish, at a very competitive price. 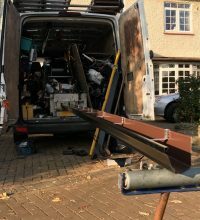 All will be delivered direct to your site.